Knowledge will give you power. Been climbing for a while and looking to progress beyond your current limits? You’re on the right page. Improving at climbing isn’t just about strength and body conditioning, it’s about learning new skills and techniques too so that you can use your body more efficiently. Our progression options will help you get the most out of your climbing and will help you to access climbs and areas at Big Rock that have previously been unattainable too. Hoorah for that. 1-2 hour workshops with different levels. £25 / person + entry fee*. *You will also need to pay our standard DAY PASS fee unless you hold a 10-Entry Pass or Unlimited Membership. Climbers with 10-Entry Passes will have a single entry deducted. Climbers with Unlimited Membership can attend for the prices listed here – no entry fee is payable. 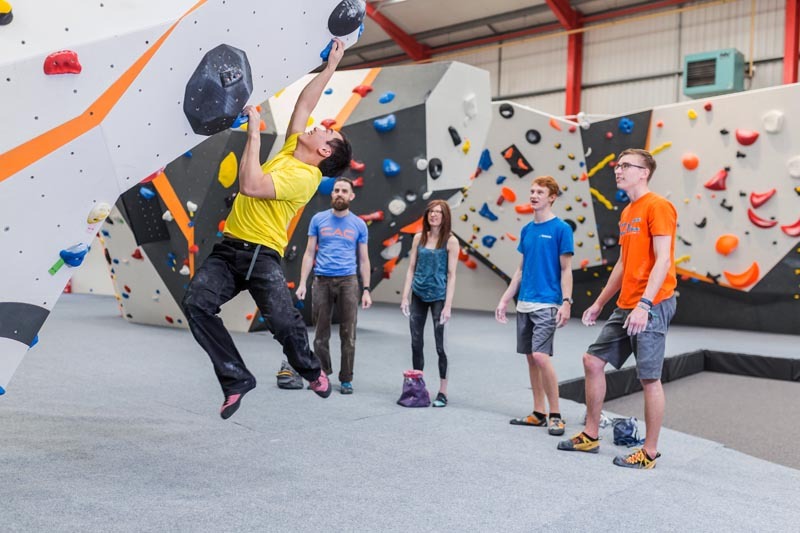 Our Skills Workshops are suitable for registered members aged 18+ and introduce the concept of using coaching to improve your overall climbing ability and accelerate progression. If you have recently started out, or if you’re feeling stuck with progress, and you want to learn skills and techniques that can help you improve, sign up here! Aimed at: Climbers targeting 6a routes and/or V2 boulders. 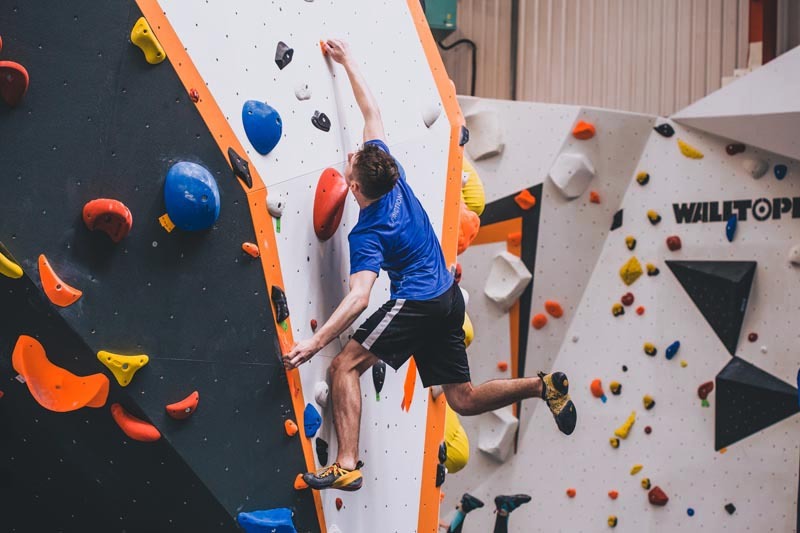 Description: This introductory workshop covers the fundamentals of climbing movement and introduces the concept of using climbing coaching to accelerate progression with the sport. Topics covered include: how to use technique to make climbs easier, how to place your feet to optimise balance, and how to climb steeper terrain and overhangs efficiently. Aimed at: Climbers targeting 6b routes and/or V3 boulders. – Hold types and how to use them. – Basic training and structuring your session. Aimed at: Competent lead climbers and belayers. 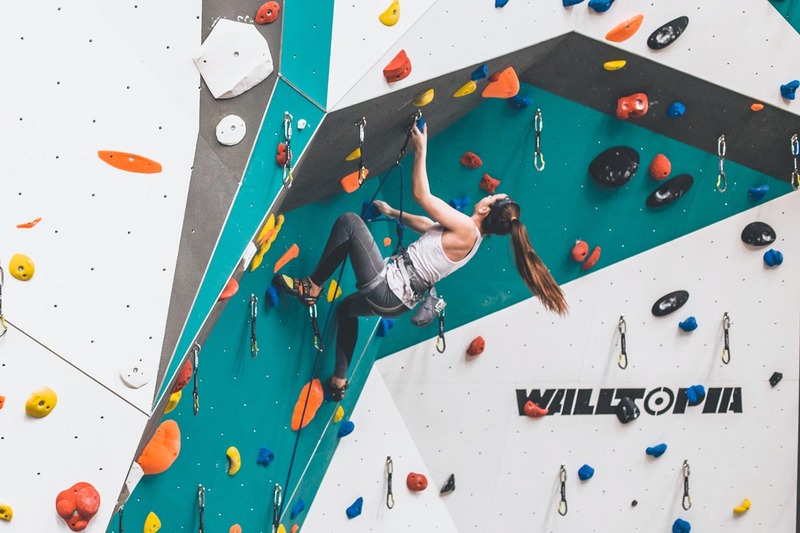 Description: These workshops offer more experienced climbers the opportunity to further develop and improve lead climbing skills, including lead climbing belaying. The sessions are client lead with popular topics including: overcoming fear of falling, catching bigger falls safely and improving your performance. These are just a few of the topics that can be covered, and you are welcome to attend as many workshops as you like. *We recommend booking for 2 people to get the most out of this workshop. This allows participants to develop both climbing and belaying skills. 6 hours of instruction with 3x 2 hour sessions. 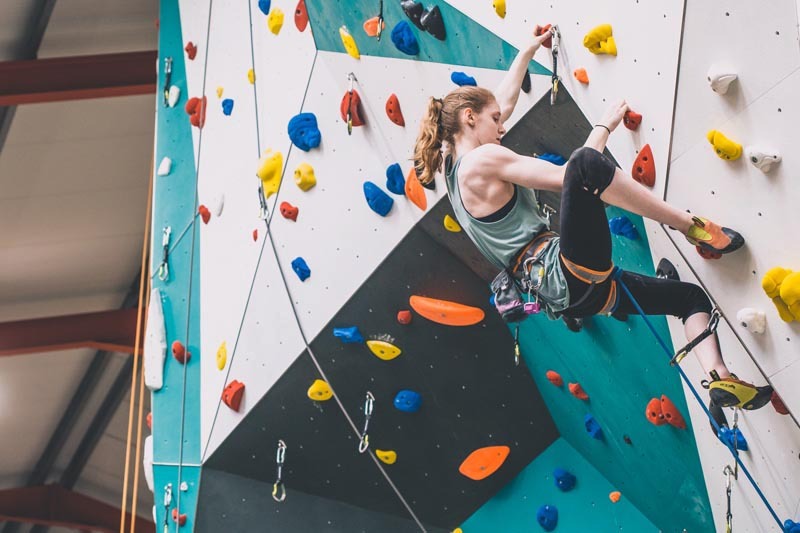 If you’ve mastered belaying and developed a head for heights on the roped climbing walls, then the next step to progress your climbing is by learning how to lead climb. This type of climbing is considered a more exciting and satisfying way to climb and will provide you with the opportunity to use the more overhanging walls at Big Rock that are not accessible on a top rope. 1:1 £25 per hour + entry fee*. 1:2 £40 per hour + entry fee*. 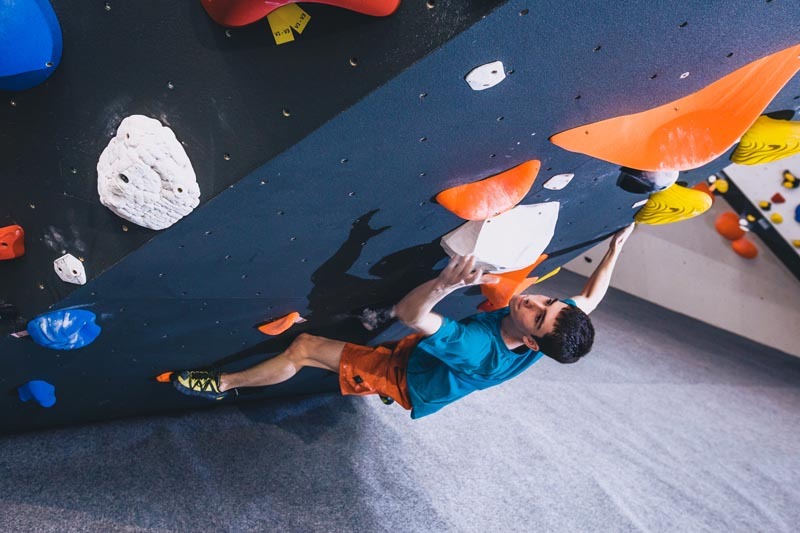 Suitable for Big Rock registered members aged 18+, our private coaching sessions provide personalised tuition for all beginner+ to advanced climbers and can be booked as one-off sessions or as part of a regular programme. Tuition is based on individual requirements, whether general improvement, physical, psychological, or technique based and can be booked at any date and time to suit your schedule. In a conversation with a friend I said I enjoy climbing but it’s surprisingly hard work. He said ‘Yes, because you’re doing it wrong’. And he was right. A coaching session is a brilliant starting point to get some idea of where to start and some basics to practice and build on. Honestly, I’m amazing what a difference it makes. The Instructor was friendly, fun and informative. It was obvious he knew what he was talking about by the way he effortlessly glided up the walls when demonstrating. Very useful. After a long time of top-rope climbing, my friends and I decided to do the Lead Climbing Intro to improve our climbing skills. We were taught the proper rules and techniques of lead climbing in 6 hours, spread over 2 hrs per week. We learnt a lot and can’t wait to start lead climbing on our own! Thank you Big Rock! I go to Big Rock most weeks. There is something for everyone no matter how experienced or if it’s just for a fun trip out. A few weeks ago, I had a coaching session which was great. Somehow, when my instructor explained how to overcome a problem, it just all fell into place and I was left wondering why I did not think of that. I’m hoping to arrange more coaching sessions in the future, but no matter what, I’ll be going to the wall as often as I can. I have just finished the Lead Climbing Intro. We all enjoyed it and learnt a lot more about the skills and techniques that we need to rely upon to stay safe. The instructor took us through the course, with clear instructions enabling us to understand, and then practise the skills that we needed to move on the next level. I would certainly recommend this course at Big Rock!